Product #46617 | SKU 14080 | 0.0 (no ratings yet) Thanks for your rating! 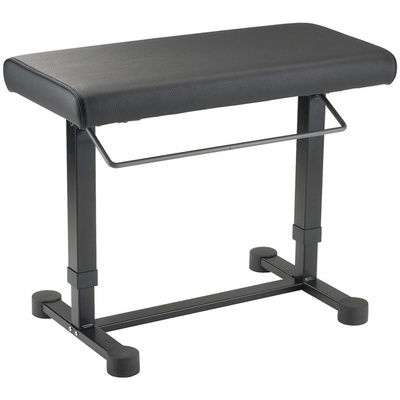 Styled in black, the 14080 Uplift Piano Bench from K&M provides pneumatic springs, thus allowing you to adjust the height of its seat while you are sitting upon it. You can do so by means of the easy-to-use adjustment handle, which is located on the back of the seat. The seat can be raised between 17.7 and 24.0". Four round floor protectors lend stability to the bench and keep your floor scuff-free. This bench is fashioned out of steel and features a wear-resistant, imitation-leather seat, which offers a comfortable and relaxing piano-playing experience.